What do you get when you mix up an X5, an Explorer, and throw in a dash of Durango? 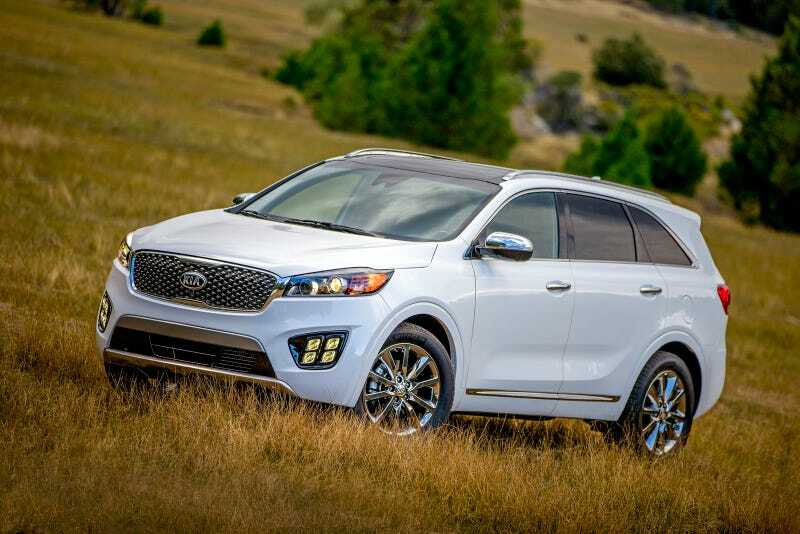 You get the 2016 Kia Sorento, that just made its US debut at the LA Auto Show. It is easy to dismiss the Korean mid-sizer, but the Sorento may be the best alternative to the usual suspects like the Highlander and Pilot. I have found there are pretty much two types of mainstream crossover buyers, domestic shoppers or Asian shoppers. Rarely will someone considering a Pilot also give the Explorer a chance and vice-versa. Not to say it doesn't happen, but as someone that talks with car buyers everyday, it seems that most people that want a 3-row family hauler either stick with the American brands because they have owned one and usually they are a little less expensive, or they want the Japanese crossovers because they think those brands offer better quality. Here is how it usually goes down. A customer comes to me and wants a Highlander or a Pilot with everything. Then they see the price and realize they have to make some sacrifices. They end up saying something like, "Well I guess I don't really need navigation." Or I have someone that wants the value that one of the domestics offer but they have reservations about durability, they'll ask "So how reliable is the Durango?" To both of these people I say "Have you considered the Kia Sorento? You can get a lot of equipment for your money and that long warranty is nice for peace of mind." To which they respond, "The Kia what?" Despite the flashy commercials and even some solid sales, the Sorento just isn't on the radar of most mainstream crossover shoppers. I think this update will change that. For 2016 Kia updated the sheet-metal and smoothed out the awkward angles and there are now three engines available. The 185 hp 2.4L 4cyl and 290hp 3.3-liter V6 are carryovers, but buyers will also have the choice of a 240hp 2.0-liter turbocharged four-cylinder engine as well. All engines are mated to a 6-speed automatic transmission. The Sorento should arrive sometime early 2015 with five trim levels L, LX, EX, SX and SXL. Depending on trim level, the new CUV comes with standard 40/20/40 second-row folding five-passenger (4-cylinder models) or 50/50 folding third-row seven-passenger (V6 models) seating configurations. You can even get some "luxury"options like a dual-pane panoramic sunroof and Nappa leather interior. Pricing has not yet been released but the current generation Sorento starts at $24,300 for an FWD LX with AWD Limited models topping out at $42,995. Those prices drop quickly when working with Kia dealers that want to undercut their Japanese competition.